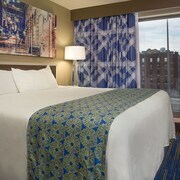 This downtown St. Louis hotel is within 10 blocks of Busch Stadium, the Gateway Arch, and The Dome at America's Center. 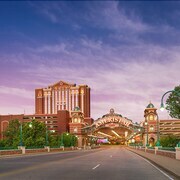 This downtown St. Louis hotel connects to Lumiere Place Casino; Laclede's Landing and the Edward Jones Dome are 3 blocks away. If you're looking to take a vacation in St. Louis that will be full of ideas for relaxation and memories you will cherish always, you're in luck, because the AARP Travel Center Powered by Expedia® is here to help. We combine members-only benefits with the best rates from Expedia, offering our members the very best deals in traveling, guaranteed. You can use your membership to book a 5-star resort, or another that's closest to the sights that you want to spend the most time at. Let us help you save money on your upcoming trip to St. Louis. 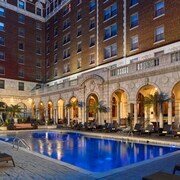 In St. Louis, we have lined up 465 hotels that we offer fantastic rates with. 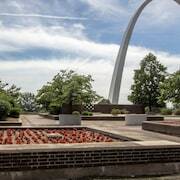 St. Louis is a top destination for all there is to do in St. Louis. This city is also known for its eclectic art community. You and your family will uncover plenty to do while you're on vacation. We can also help you schedule some memorable activities as you finalize your hotel stay. Wherever your vacation takes you, you will spend more time making the most of your trip when booking with AARP Travel Center Powered by Expedia. 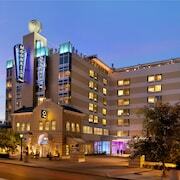 We'll make it convenient for you and your family to book your upcoming vacation getaway. 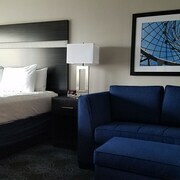 If you are coming to St. Louis for business or to relax, we're going to make sure that you get the greatest prices in the business. 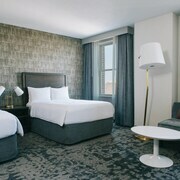 When you decide to plan your inspiring getaway filled with arts and culture, let us help you out with all the details. 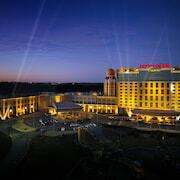 You will not have to think about pulling out all your savings to have a good time, thanks to our discounted vacations. Book with us because you won't be able to find anything more cost-effective then our deals. You'll feel good during your entire vacation knowing you scored the best deal possible. 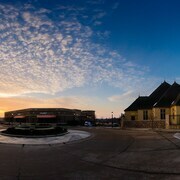 Book with the Travel Center, and your wallet will be happy about your travels.